Designed by Leon Yeo, student at Nayang Polytechnic, Singapore. 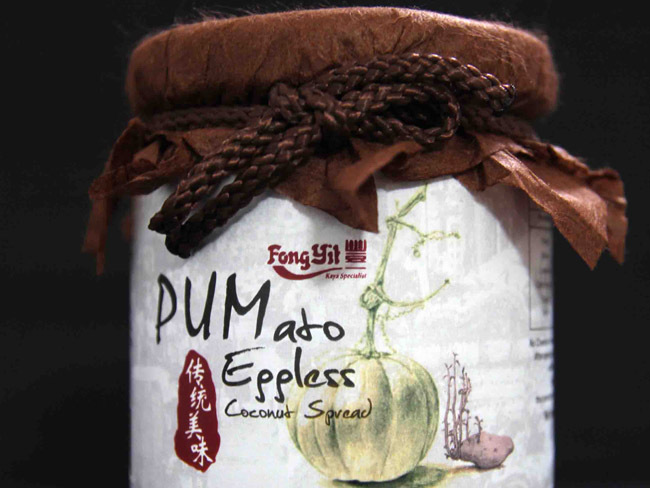 Fong Yit is the given product brand that i needed to refurbish its design by creating a new label and the external packaging bottle design for the PUMato eggless coconut spread. Fong Yit Kaya has been specialising in delivering quality kaya - a type of bread spread or jam originated in Southeast Asia made from coconut, eggs and pandan leaves - since 1959. Therefore to develop a packaging and surface graphics design for the products. 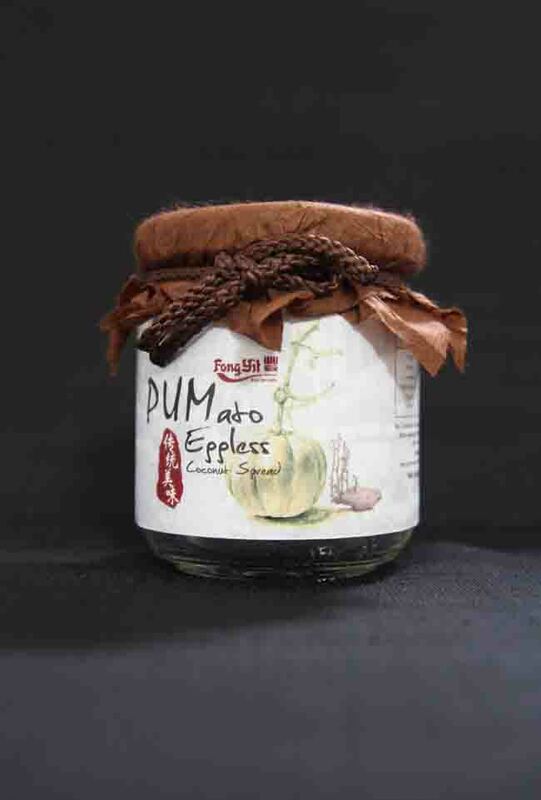 The unique selling proposition of these Kaya spread is make from pumpkin and sweet potato. Based on the research, i realized that most of the designs from the past to the current one are more flat illustration. Thus, i come up with a new concept which gives a new refine, and modernize traditional for Fong YIt PUMato eggless coconut spread. This concept will enhance the image for the pumpkin and sweet potato and to target to all generation. The design is base on a 1960s photograph in the background with sketch of pumpkin and potato. 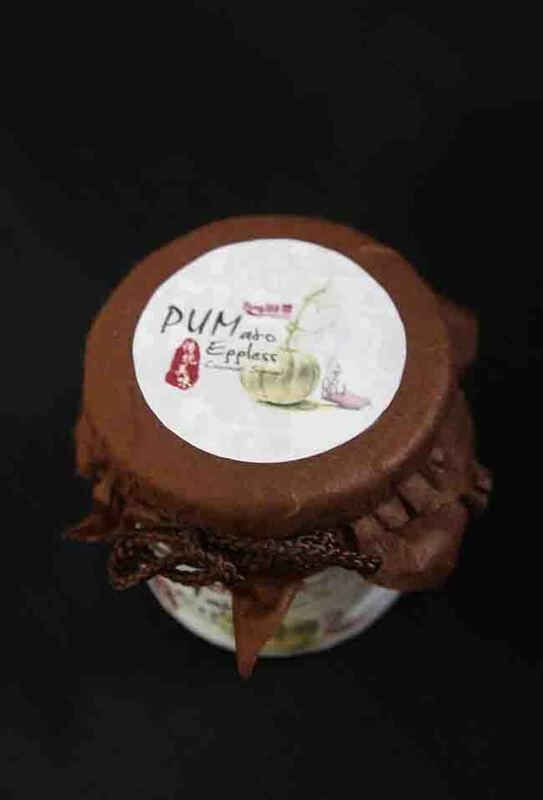 In addition, i also created a seal with Chinese characters stated, product gives a freshly traditional taste. I believe, through the selection of color and concept this will help to achieve the top of mind awareness among Asians and paid off handsomely in the market.